If you’re wondering how to keep your home or office warm, an investment in the best indoor heaters for large rooms would be a step in the right direction. However, in order for that to happen, you would have to make sure you’re familiar with the different types of heaters out there. Without further ado, here’s a detailed run-down of some top options available at your disposal alongside a helpful buying guide. 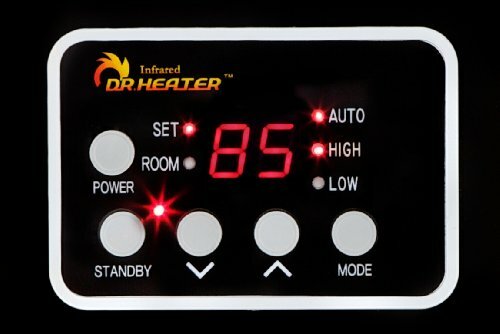 Usually, most indoor space heaters are never used to heat large rooms but this is not the case with this Dr. Infrared Heater. Featuring a dual heating system, the heater is designed to combine the comfort of convection heat and energy efficiency of infrared heat. As a result, it is able to heat large rooms fast without cold or hot spots. 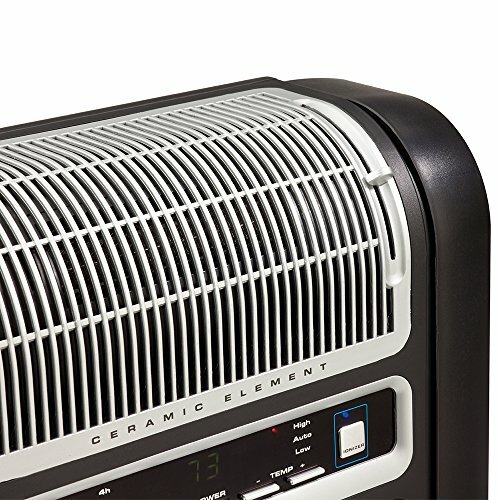 The space heater utilizes a 7-inch state-of-the-art blower that ensures faster heat transfer while saving on heating bills. Thanks to this high-efficiency blower, the heater is reported to deliver up to 60% more heat than most 1500-watt heaters out there. Designed to use infrared heating, rather than heating the air in the room, it heats objects present in the room to make you feel warm instantly. Therefore, you don’t have to worry about the unit drying out your skin like convection heaters. No humidifier needed. As far as safety features are concerned, the unit boasts an auto shut-off overheat and tip-over protection which makes it safe around pets or kids. On top of that, it only gets warm to the touch. But hang on a minute, Dr. Infrared 1500 Watt heater is also equipped with three auto power settings including energy Auto saving mode, low and high. The low mode allows you to set the heater to 1000 watts and 1500 watts for the case of high mode. With the auto saving mode, you can set your preferred temperature from 50 to 86F. You can actually set the heater manually or with a timer to run on low or high all the time. 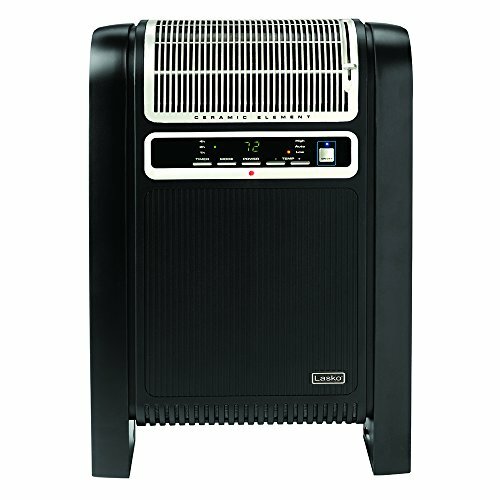 While Dr. Infrared 1500 Watt indoor Space Heater has some drawbacks, it is an excellent option for heating large rooms. It is a very efficient heating source and provides maximum warmth even during the coldest winter seasons. Besides, it comes with caster wheels for ease of portability. If you are looking for a sleek and stylish heater that’s perfect for any decor, this Mica Panel by DeLonghi can be an excellent choice. It just offers a great blend of style and functionality. Surprisingly enough, it is also very compact with a slim design and wall mountable option so you can put it just anywhere. In fact, the unit comes with a kit so you can safely mount it on any wall just like a piece of art. In addition to that, the unit employs 1500 watts of heating power which is equivalent to 5120 BTUs to keep your home or office warm. But perhaps one of the best things about the heater is the fact that it allows you to customize your heating needs. It is fitted with two heat settings including 1500 watts for high mode and 750 watts for low setting as well as an adjustable thermostat. To top it off, it packs some great safety features such as a tip-over switch just in case it becomes unstable and a thermal cutoff to prevent overheating. Also included is an anti-freeze setting designed to help prevent freezing pipes. 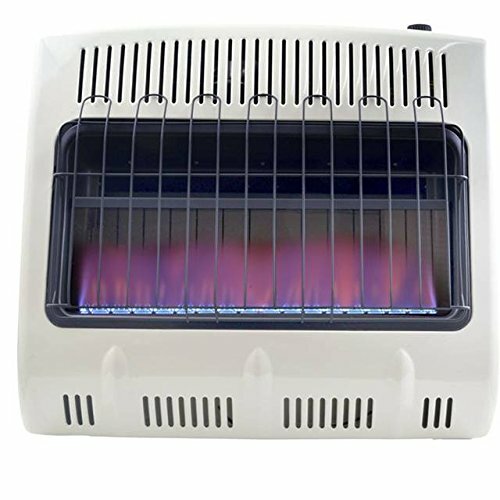 This makes it a handy indoor heater for families with small kids and even pets. But wait there's more. 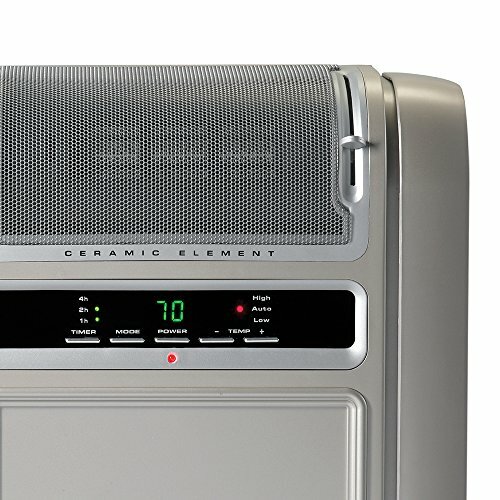 Unlike most indoor heating options, the DeLonghi Mica Panel HMP1500 Heater works with no fan. Therefore, it boasts silent operation making it ideal for heating offices, bedrooms or anywhere in the house. And another thing, it comes installed with caster wheels and a carry handle so you can move it from one room to another without any fuss. Featuring 1500 watts of heating power, this indoor safe heater takes the chill out of any room while lowering your energy bills. It is, therefore, a great option for anyone in need of a reliable and affordable heater. Thank you for choosing this De'Longhi heater. Please read this instruction booklet carefully before using this heater. By doing so, you will obtain optimum results with maximum safety. 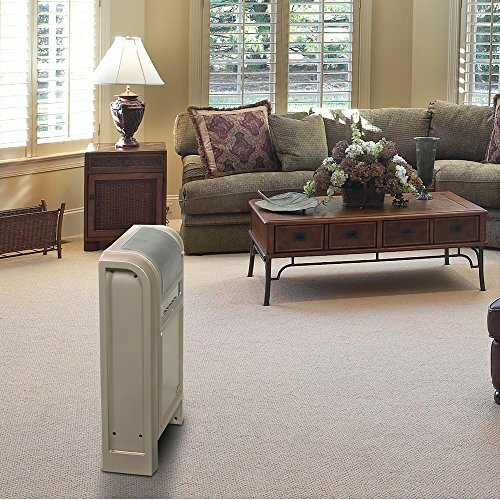 With 1500 watts of power, the LifeSmart Infrared Heater can heat up large rooms of up to 1200 square feet. 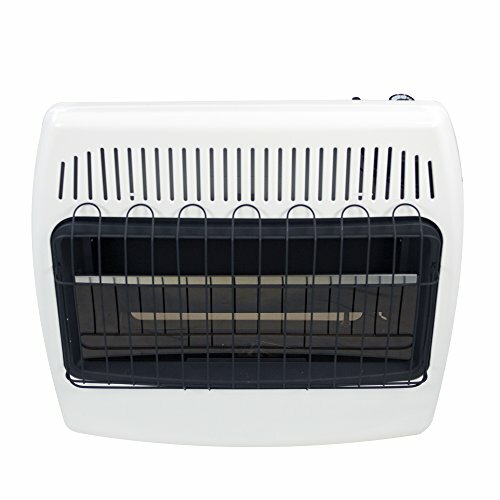 According to the manufacturer, the heater is designed to provide you with safe and ultra-efficient heat at less cost compared to other heating systems. But does it really live up to this claim? For starters, the heater is equipped with three heat settings that include Eco, high and low setting. The Eco setting allows you to heat small rooms using only 500 watts to 68 degrees. In addition to that, it utilizes infrared heating thereby allowing you to efficiently heat only the rooms you need and when needed. Consequently, this helps in reducing your overall energy bills. As if that’s not enough, it comes with a 12-hour start and "stop" timer setting. The setting enables you to turn the heater on for up to 12 hours in case you would like your room to be toasty warm before you get home. You can also turn it off 12 hours ahead. Further, it includes a digital thermostat that can be operated via a remote control which is also included with the purchase for ultimate control. 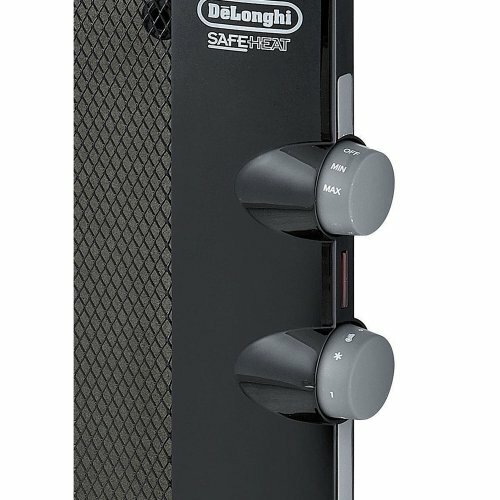 Beyond that, the DeLonghi Mica Panel HMP1500 Heater is housed in a stylish and fireproof metal cabinet that is cool to the touch for optimal safety. Also, like any portable indoor heater, the unit boasts some casters for ease of moving it from one room to another. With its sturdy design and alluring price point, this indoor heater with thermostat certainly has a lot to offer. Offering an energy efficient heating solution, you will be able to feel warm and comfortable without the high cost associated with heating an entire home. And the best part is that it does not dry out the air like some heaters. Our next LifeSmart Infrared indoor heater is the 8 Element Corp Lifelux Series that is said to provide safe and healthy heat for very large rooms. Boasting innovative technology, the unit utilizes 8 quartz infrared elements housed in a metal heat exchanger coil. As such, it is able to heat rooms of up to 1800 square feet fast and without increasing your energy bills. The heater is encased in a stylish and all-wood fireplace-like Oak cabinet for superior durability. Most of all, the cabinet is designed to be cool to the touch making it safe for use around children. And another thing, it features a removable lifetime filter that can be washed to ensure optimal performance of the unit. Designed to use up to 1500 watts, the LifeSmart 8 Element Corp Lifelux Series includes three heat settings such as the high, low and Eco mode. With only 500 watts of power, the Eco setting comes in handy when it comes to heating smaller rooms while ensuring maximum energy efficiency. In addition to that, it boasts a dual timer setting to help you turn the unit on or off for up to 12 hours. Additionally, it comes with a digital thermostat for ease of setting the heater to your desired temperature. The heater includes a remote control so you can quickly change the settings without having to go where the heater is. Considered to be one of the best indoor heaters by a majority of customers, this particular product is a great heavy-duty unit for heating very large rooms. It has tons of nice features including three settings, remote control, and a thermostat to help you customize the exact temperature to suit your needs. This is of course while remaining relatively affordable. Please read this entire Installation and Operating Manual BEFORE installing and using your new Infrared Heater. Failure to fully understand and follow instructions may result in property damage, bodily injury, or even death. 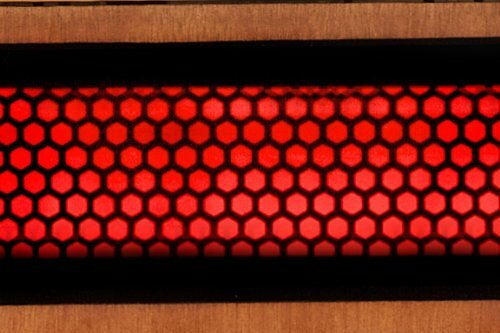 If the Infrared Heater is not used properly, a house fire may result. For everyone’s safety, FOLLOW all Installation and Operating Directions. Put your heater in a strategic place in the house, preferably where your family gathers to get the most out of the heat generated. Lasko is a well-known brand when it comes to indoor heating options. 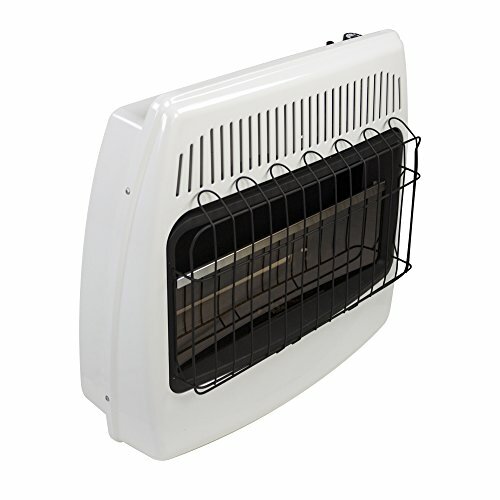 Overall, they do make quality heaters especially for large rooms and this Cyclonic 760000 Ceramic Heater is one of them. The unit has some great features that make it easy to use including precision digital controls to help you set your desired temperature setting. Unlike most indoor heaters that come with three heat settings, this unit by Lasko only has two settings including high and low. The good news is that it employs a 7-hour auto-off timer as well as an adjustable thermostat to help maintain the temperature of choice. As if that’s not enough, a remote control is also included with the purchase for ease of shuffling between various functions. 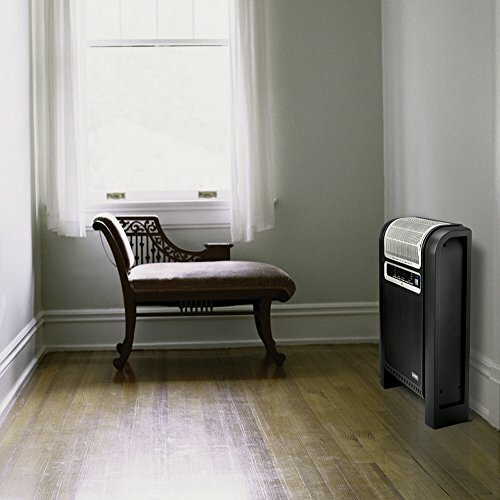 Lasko Cyclonic 760000 Ceramic packs a glide pivot system that allows you to direct the warm air to a specific area. In addition to that, it boasts a space-saving design that enables you to put it right up against a wall to ensure it only occupies very minimal space. 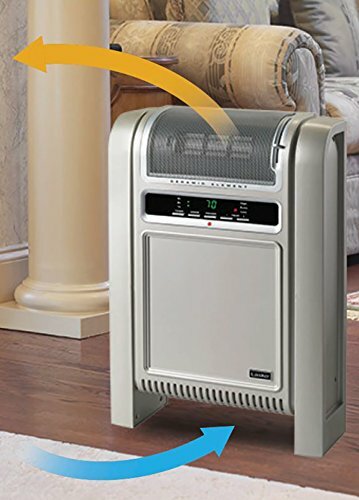 Another feature that a lot of users seem to appreciate about this indoor safe heater is its air ionizer system for removing contaminants, odors, and microbes from the air. Best of all, the system can be turned on or off depending on your preference. With 1500 watts of heating power, this portable indoor heater circulates immense warmth evenly throughout any large or small room chasing away the chill. And thanks to its adjustable thermostat, it allows you to save on your overall heating costs. You don’t really need to shell out hundreds of dollars just to get a high-quality indoor heater with thermostat. The Lasko Cyclonic 758000 Ceramic Heater is a great budget option that features an adjustable thermostat, electronic controls, and auto-off timer. The timer comes really handy by allowing you to set the heater to run for up to 7 hours before automatically switching itself off. Therefore, you really don’t need to wake up in the middle of the night just to manually turn it off. Just like the Lasko Cyclonic 760000, this too comes with only two heat settings including high (1500 watts) and low (750 watts). When it comes to safety, this is yet another area that the unit does not disappoint. It includes an overheat protection function that shuts off the heater automatically immediately it detects overheating. This not only prevents serious accidents but it also helps in saving on energy bills. Similarly, the exterior never gets hot-to-the-touch. 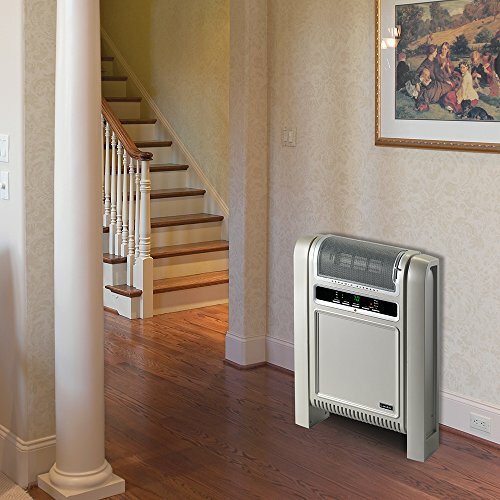 Additionally, the heater comes equipped with a glide-pivot system so you can easily choose where you would like the warm air to be directed to. Besides, its space-saving design permits you to place it up against a wall to ensure it does not take much of your space. 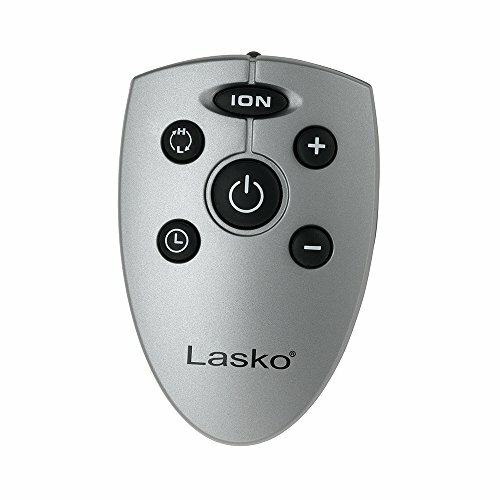 The Lasko Cyclonic 758000 Ceramic Heater is a very capable indoor heater for large rooms in its own rights. Sure, it may lack some convenient features commonly found in high-end models like more heat settings and tip-over sensor but it does a great job at keeping rooms warm and cozy. 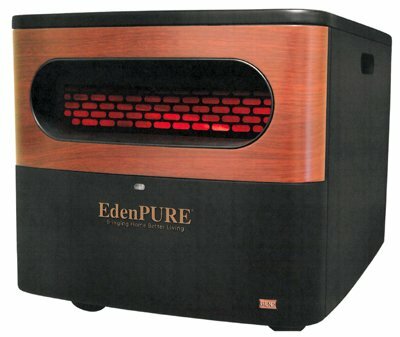 The EdenPURE Gen2 A5095 Infrared Heater is designed to provide as much heat as possible while conserving energy. Featuring 1500 watts of power capacity, the unit promises steady and efficient heating. Consequently, you can use it to heat rooms of up to 1,000 square feet comfortably. But wait there's more. The heater boasts an electric thermostat to help you control the amount of heat it emits for optimal safety and energy efficiency. There is also an automatic on/off function so you can keep the fan running even in the summertime to circulate air. 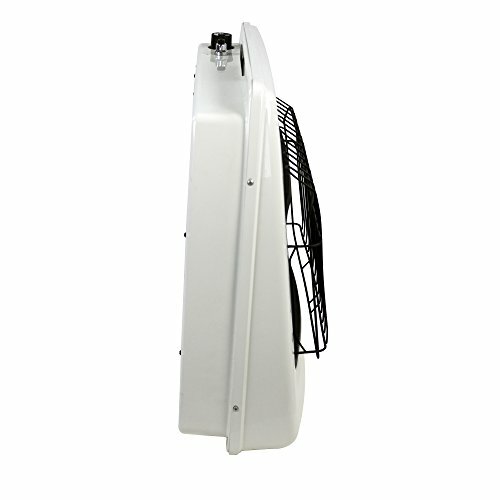 With only two heat settings, high and quiet mode, this indoor heater and far is very easy to use. The quiet mode which gives off around 1000 watts ensures the unit runs silently and without using a lot of energy. Also included with the package is a remote control for added convenience when it comes to adjusting the unit’s settings. And another thing, the EdenPURE Gen2 A5095 Infrared Heater comes with a two-year warranty designed to act as a guarantee of the long-lasting capabilities of the unit. At 15.1 inches by 11.5 inches by 9.6 inches, the heater is not only easy to move as needed from room to room but also perfect for small spaces. Although compact, it is certainly effective as far as heating large rooms is concerned. And the best part is that its exterior does not get hot at all for maximum safety. Consider covering your windows and sliding doors with a plastic film to reduce energy losses. Dyna-Glo is a leading and reputable brand specializing in both outdoor and indoor heating options. Apparently, all their products usually undergo rigorous testing just to ensure they meet the industry standards of durability and quality. While that might be true, you will have to find out for yourself if their Dyna-Glo Wall Heater BF30PMDG lives up to the standards. Designed for use in the garage, home or cabin, the heater makes a perfect choice for safe indoor heating. Instead of operating on electric power like it is with most heaters, it utilizes liquid propane making it an excellent indoor heater during power outage. Yes, you read that right! In addition to that, it comes with all the hardware needed for easy and safe wall mounting. Beyond that, the unit uses Blue-flame heating technology to ensure it warms up the air first before the surrounding objects. 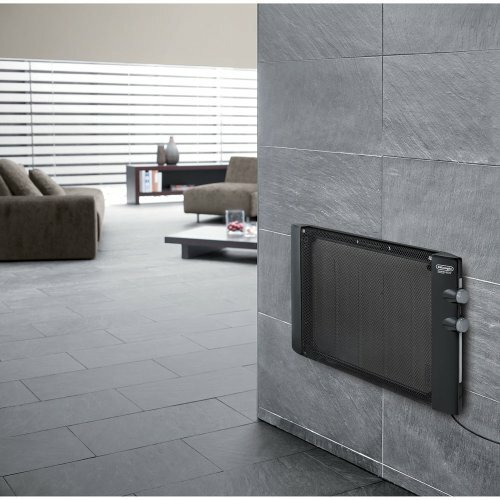 This unique technology also allows the heater to burn with nearly 99.9% efficiency while ensuring reduced heating bills. Producing 30,000 BTU per hour, it is capable of heating rooms measuring up to 1,000 square feet. Most importantly, the heater employs an oxygen depletion sensor that shuts it off immediately it detects lack of oxygen or traces of carbon monoxide. Although it does not come with a thermostat, the unit has three heat settings (high, medium and low) that can be adjusted manually. If you live in an area where it gets really cold and power outages are common, this liquid-propane powered heater is probably all you need. It is very dependable and economical as it allows you to warm up only the occupied areas. Also, it can be perfect for daily supplemental heating. Once colder months arrive, your office or home may get uncomfortably chilly. So, rather than just wearing your winter coat, it would be a good idea to invest in an indoor heater like the Sengoku KeroHeat CV-2230. 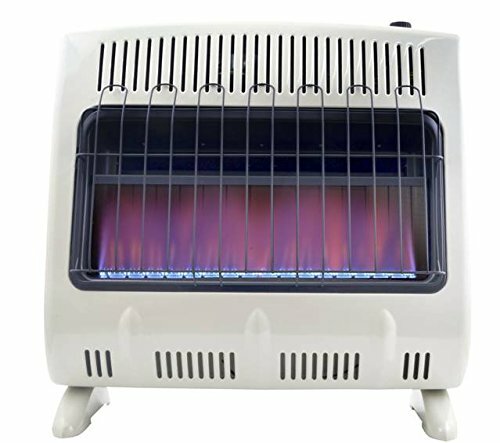 According to the manufacturer, it is an excellent indoor heater during power outage because it does not need any external power to operate. For starters, the unit gives off around 23,000-BTU of energy which is just enough to keep a square foot area of up to 1000 toasty warm. What’s more, it is fitted with an automatic ignition push-button that makes starting the heater a breeze. 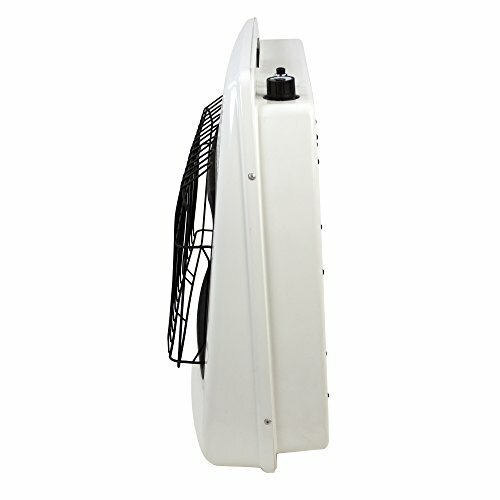 Powered by kerosene, the Sengoku KeroHeat CV-2230 heater is not only economical to operate but also very safe to use. In fact, with 1.9 gallons of fuel, you can heat up your home for around 10 to 12 hours. The unit is also equipped with a fuel gauge that is easy to read so you know when to add more kerosene. Most importantly, it comes with an automatic shut-off function to prevent accidents like fire in case it overheats or is tipped over. Also included are safety grills that stay cool to the touch for added safety. 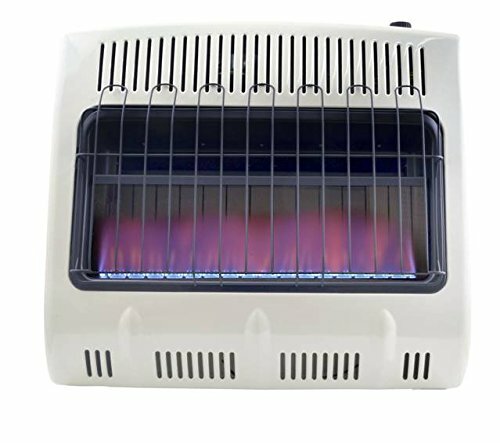 At its price, the Sengoku KeroHeat CV-2230 heater is a solid investment if you are looking for one of the most efficient ways to heat up large rooms. It does not use a lot of kerosene making it very economical compared to most indoor heating options out there. 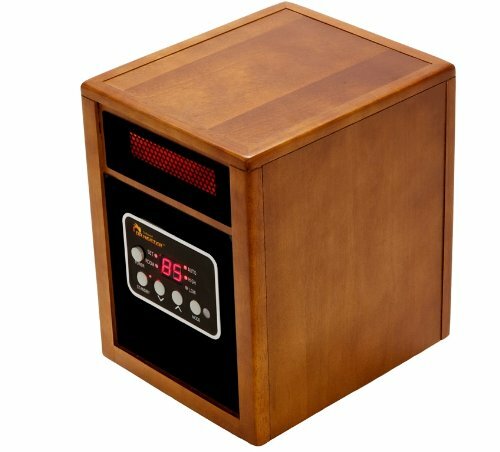 Our final pick for the best indoor heater 2018 is this Mr. Heater F299730 Corporation Propane Heater. It packs some really powerful features and won’t cost you an arm and a leg. 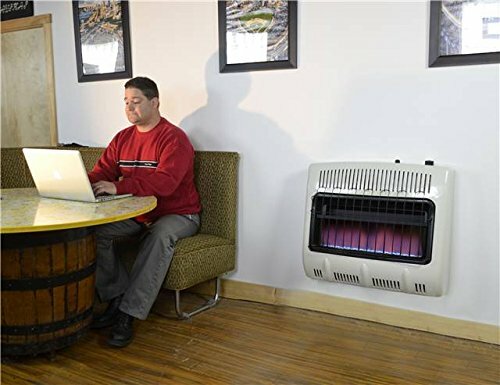 Designed to run on liquid propane, this vent-free heater does not need to be connected to any power outlet. As such, it is ideal for all kinds of applications with no electricity. Moreover, like other propane-powered indoor heaters for small rooms or large rooms, this too utilizes blue-flame heating technology. This technology works by allowing the unit to warm the air first rather than the objects. Therefore, you don’t have to wait for long before your room is warm and comfortable. As if that’s not enough, the unit is conveniently fitted with a thermostat that enables you to set the temperature to your liking. For ease of use, it also comes with an electronic ignition function that is battery powered for fast start-ups. 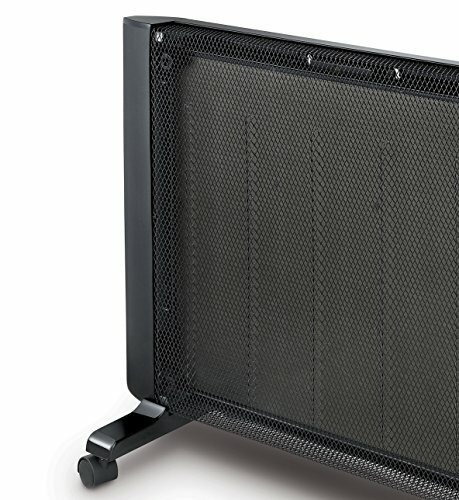 Beyond that, the heater includes fasteners and mounting brackets so you can permanently mount it onto the wall or fasten it to the floor securely. To top it off, it employs an automatic oxygen shut-off sensor that shuts down the device once it detects low amounts of oxygen. Also, if you operate the unit at altitudes of more than 4,500 FT, the heater will automatically shut itself down for optimal safety. To sum up, apart from being a great indoor heater, it can also be used outdoors since it does not need an electric power source to run. As such, if you are looking for a dependable indoor camping heater or an indoor tent heater, this model is worth considering. Read and follow all instructions. Place instructions in a safe place for future reference. Do not allow anyone who has not read these instructions to assemble, light, adjust or operate the heater. Always run frequent inspections on your source of heat no matter how perfect it seems, this can help you identify potential issues in advance. These heaters come with a propane tank. All you need to do is buy a refilled propane gas tank for them to work. Fortunately, these (tanks) are readily available in most stores. Once you have the tank in place, the next step is to connect it to the heater. The heater will automatically start to function when you turn on the valve and ignite its element. The main advantage to using this unit is that safe propane heater indoor use is never really a major issue. It burns clean and is way better than any other type of fossil fuel. Above all, this by-product of natural gas reduces overreliance on petroleum products yet still supplies you with adequate heating power. On the flipside, though, you need to keep replacing the tanks with refilled ones in addition to being on the lookout for any accidental gas leaks. 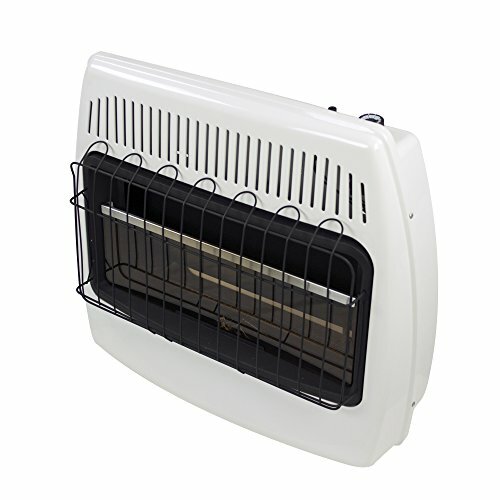 Corded electric heaters are highly popular because they’re pretty convenient to operate. They don’t require any special fuel. Likewise, no special lines or tanks are required to get them working provided there’s power. Compared to propane heaters, these ones are highly portable. On the downside, though, these units can run up your power bill. That’s of course in addition to the fact that they’re limited on portability. You can only place an electric heater a short distance away from a power outlet unless you invest in an extension cord. If you don’t want to struggle with power bills or the hassle of acquiring propane gas, solar-powered heaters might be your best bet. These units operate by converting the rays of the sun into usable power. Ordinarily, if you live in a place that has long and cold winters, you might end up spending over $1,000 in natural gas, kerosene or oil alone, per year. And while solar-powered heaters aren’t that reliable especially during cloudy days, you can use them to supplement your heating needs. Pundits argue that you can save more than 30% worth of power cost per year by investing in a solar indoor heater. Of course, the savings may vary depending levels of sun in your climate as well as the size of your home. Battery-operated heaters are not as popular and that’s because battery energy is quite limited. As such, some reviewers have even claimed that battery technology doesn’t work for heating home. The reality is that battery-powered heaters exist only that they are best used for emergencies. That said, this technology still has a long way to go – and who knows? We might end up with some more powerful battery-operated heaters one of these fine days. Also known as paraffin heaters, these are typically tiny heating devices. They’re known for producing supplemental heat, especially during power blackouts. Also, thanks to their tiny design, kerosene heaters are a perfect find for camping and bugging out missions. As if that’s not enough, these heaters are designed to operate like large kerosene lamps. They have a wick which is made from fiberglass. This wick draws kerosene through capillary action. All you need to do is light this wick to initiate a process known as gasification. Eventually, this raises temperatures around the room. That said, you would still need to spend some money on buying kerosene from time to time. It’s also worth noting that kerosene is a carbon-emitting fuel and so it should be used sparingly. Does this option sound familiar? Wood is one of the few sources of power that straddle the thin line between renewable and non-renewable energy. As you know, it is always possible to regenerate trees by planting more of them. However, we only need to ensure that the rate of consuming wood is slow enough so we don’t deplete our forests. In other words, if done properly, indoor fire heating has the potential to be carbon-neutral. All you need to do is find split wood and simply light up the wood within the designated area. It’s usually recommended to have the fireplace fitted with a chimney or vent to help in managing the smoke, though. Diesel is renowned for its ability to convey great levels of power. It’s no wonder it’s commonly used in running heavy machinery. But how good is diesel when it comes to indoor heating? First off, diesel is quite affordable and in fact is one of the most common sources of energy around the world. You simply need to find a diesel-powered machine and top up the fuel. Modern technology has made it possible to design small and portable diesel-powered heaters. Small qualms with diesel-powered machines would be that they’re difficult to maintain in the long-run. For instance, you’d need to keep changing the fuel filters among other consumables from time to time. Otherwise, they can always be a reliable source of power. Maybe you’ve heard your electrician talking about heating elements only to be left wondering, what on earth are those? Well, to break it down to you, heating elements are simply units which convert electric energy into heat energy. They’re typically found under the indoor heater cover. There’s a whole load of scientific research behind heating elements, but for now, we’re better off focusing on the different types that exist. Ceramic material is what is known in the world of science as a semiconductor. One cool feature of these heaters is that unlike traditional coil heaters, these ones bear no risk of burning. In fact, they are so called because they use a number of plates which absorb heat and release it to warm the surrounding air. This special technology makes them reliable for heating small rooms, unlike models that use ordinary coil heaters. And there’s more – ceramic elements are highly energy-efficient owing to their ability to combine convection and radiation heating processes. Infrared technology is the buzzword in the world of indoor heating technology. This is because unlike other systems which work by heating the air particles, infrared rays are transferred directly to your body. That’s pretty much how the sun rays work. So, with infrared, you get an opportunity to heat up any room while being more energy efficient. Best of all, these heat rays are safe for you and anything else that may absorb them. What’s the difference between an oil filled heater and a diesel powered one? You might be wondering. Well, the difference is that the former contains oil but doesn’t consume it. It merely uses oil as a heat reservoir. It is made up of different columns which come with cavities that house the oil. This oil has a high heat capacity which allows it to accumulate as much thermal energy as possible for purposes of warming your room. As power bills skyrocket and winters get colder, you’re better off finding a cost-effective way to heat your home. The good thing about going for a space heater is that it allows you to keep your thermostat operating at a lower setting. This also adds targeted warmth to particular rooms. For instance, you can add warmth to the living room so everyone takes dinner in peace and so forth. We’d recommend you use this guide so you can find a heater that best suits your needs. The battle of heating technology pits convection heating against radiant heating and Micathermic heating. 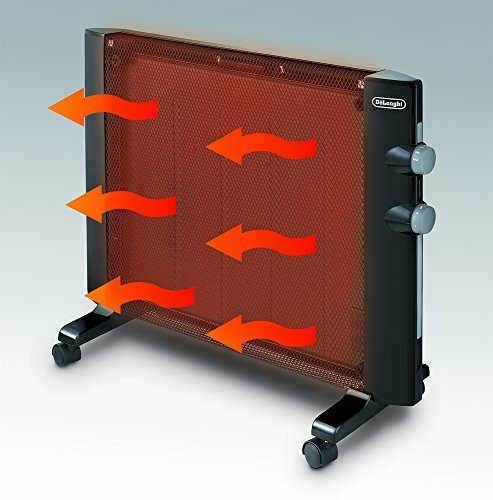 Convection heating is the most common method of keeping rooms warm. It works by warming the air. Most units that rely on this technology come with a fan. The job of the fan is to circulate the warm air across the whole room. In general, this type of heating technology is best suited for heating large rooms. Ceramic space heaters are also a type of convection heating machines. Their heating discs are hidden within the body and that, therefore, keeps them cool to the touch. It’s for this reason that most people use them for heating spaces with pets or children’s bedrooms. Radiant heating, on the other hand, works best when spot heating is involved. Unlike convection heaters which require a few minutes to warm up the air, radiant heaters deliver near-instant warmth. For that reason, it’s not unusual to find these heaters being placed under office desks to keep one warm as they work. Another unique characteristic of radiation energy is that it tends to deliver soft and consistent warmth. The last example of indoor heaters is one that uses Micathermic heating. This unique technology uses a combination of convection and radiation energy. 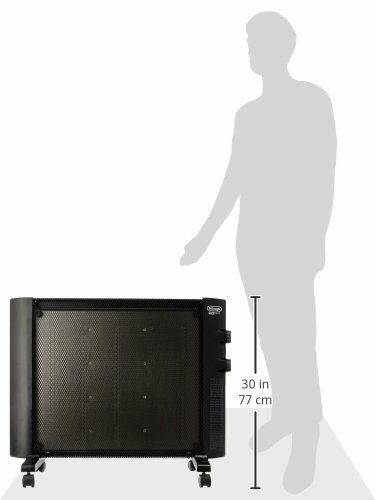 Some of the heat radiates from its panels and reaches you directly. At the same time, this machine uses convection to heat up the air around your home before re-circulating it. One unique attribute of Micathermic heaters is that they’re fanless. As such, they don’t re-circulate dust or any other allergens. For this reason, they also tend to be quieter yet highly effective and safe. 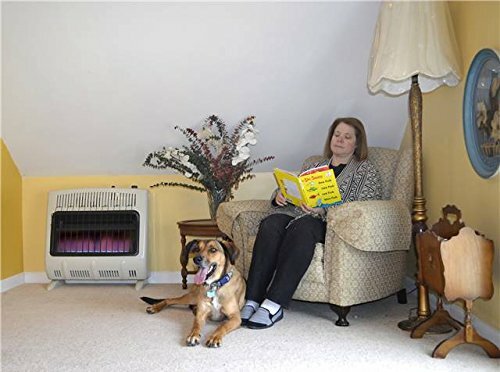 Space heaters are designed to meet different needs. 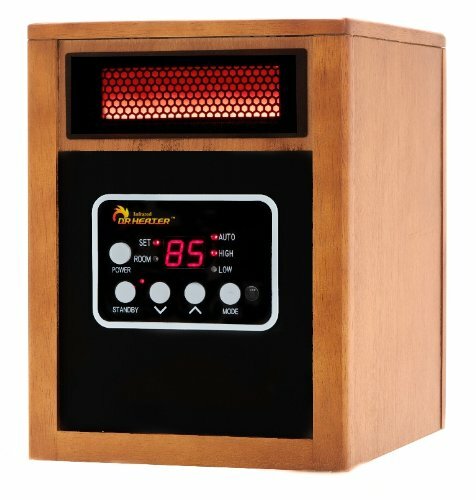 So, whether you want a floor heater, space heater, baseboard heater or wall heater, there’s certainly something for everyone. Floor heaters are particularly popular as they can be placed on the floor and heat up the entire room. They, therefore, feature a vertical, space-saving design and fans which spread the heat across the rooms. 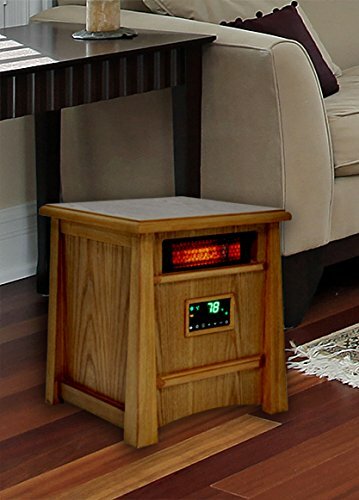 As for space heaters, you only need to place them either on the floor, table, or nightstand. In a nutshell, space heaters work best when placed on anything that enables them to generate focused heat. Lastly, wall heaters are recommended for basements and bathrooms while baseboard heaters are typically placed under windows. One important fact to always keep in mind is that size is a huge factor in home heating. For instance, trying to heat up a 150 square feet room with a 500-watt heater might be unrealistic. Likewise, there’s no use in buying a 1,500-watt machine only to use it in a 30 square feet cubicle. The rule of the thumb is to always strike a balance so you don’t end up generating too much energy for no reason. Thankfully, most indoor heaters aren’t complicated to use. Some, like electrical ones, require you to fit them on an electric plug and simply turn the switch on. Others like propane powered ones operate provided you’ve connected them to a source of propane and switched the valve on. Kerosene heaters need to be lit up so the wick can start to generate energy. In a nutshell, there’s no single way to use a home heater. You need to start by understanding the uniqueness of your unit before putting it to use. Most importantly, you can always refer to the user manual or contact your supplier for further assistance. Most indoor heating options come with a 10-year warranty which is mainly limited to parts. That said, there are some manufacturers who offer up to 20 years of warranty while a few others offer 5 and even 3 years packages. We’d recommend going for the best warranty package available so you can save more in case of a malfunction or flaw. What’s the cost of electricity likely to be when I use an electric heater? 1500x0.001x0.15 = 0.225 cents per hour. So, if you operate your heater for 10 hours per day, you’ll pay $2.25 per day and approximately $67.5 per month. My bills have risen sharply after getting a new heating unit, what can I do? Try to reduce temperature loss from inside your house by insulating your windows and walls. That will enable you to use a lower heat setting which will, in turn, put less strain on your machine. Lastly, be sure to switch off your heater when not in use. My system has more dust than usual, should I be concerned? It’s important to clean your heater surface regularly by wiping it (avoid using water). However, dust is a normal part of life and it’s not unusual for it to accumulate on your heater. 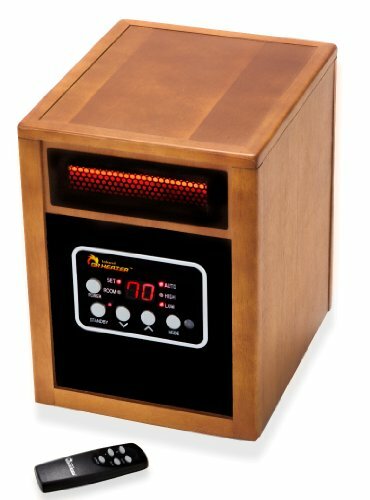 Our best pick is the LifeSmart Large Room Infrared Heater. We like the fact that it is well built and can be remotely operated. And in case power consumption is a worry to you, you’ll be glad that this machine has adjustable heat settings. For instance, you can use the eco-friendly 500-watt setting to raise the room temperature slightly. That said, you might want to keep it out of your bedroom if you’re extra sensitive to noise as its fan is quite powerful. The second runners-up position would go to the Delonghi HMP1500 which only misses out on the top position because it takes a bit too long to get the whole house warm. So that’s pretty much it, a comprehensive list of indoor heater reviews. All you need to do is find one that best suits your needs and start making your home a haven of warmth. Of course, you’re better off insisting on the best indoor heaters for large rooms to eliminate any possible disappointments.